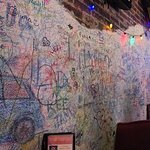 Fun bar, great burgers... with steamed veggies and a side salad.good burger, but great wings!Chili cheese fries and onion straws were fantastic. Turkey, ham, cheddar cheese, bacon, lettuce, tomato 1000 isl dressing on honey wheat berry toast. Thinly sliced corned beef, sauerkraut melted swiss cheese steam-ing hot on toasted, buttered marble rye with a side of 1000 isl dressing. 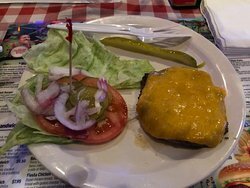 Our World Famous Huey Burgers are a 1/3 pound are prepared Medium unless otherwise requested. 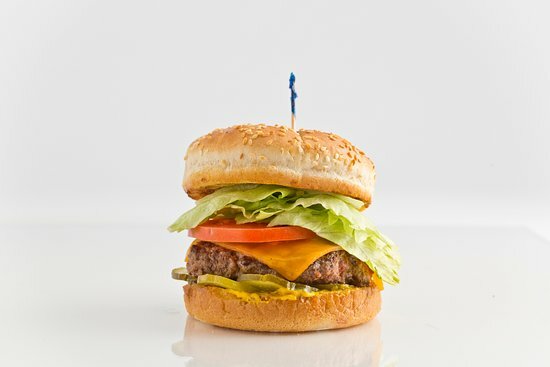 Make any burger a veggie, black bean, or turkey burger for an additional 50 No substitutions on the Little Miners. Our version of the patty melt with smoked cheddar cheese on wheat bread, choose from: mayo, mustard, lettuce, tomato, pickle onion. 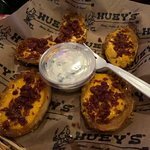 Huey’s has been serving up Blues, Brews, & Burgers since 1970. 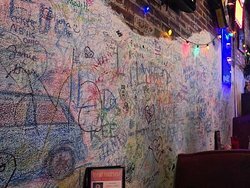 Perhaps the most unique characteristics of our Huey’s locations are the graffiti wall and shooting toothpicks into the ceiling! 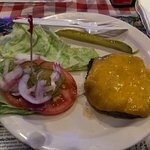 Our mouthwatering burgers have been voted Best Burger since 1984 by the Memphis Magazine’s Reader’s Poll. 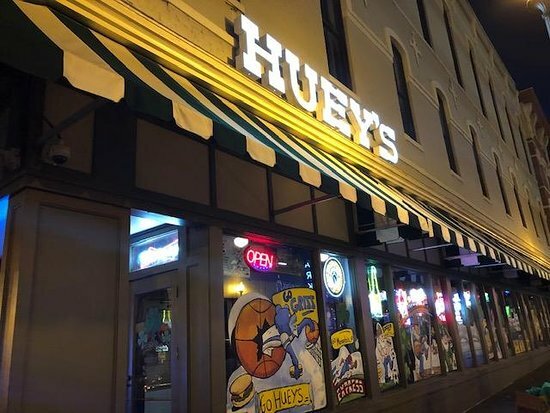 Sundays at Huey’s are renowned for live music- jazz, blues and perhaps a little rock from local and regional groups. 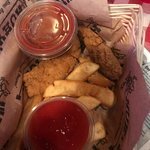 Not only do we serve great burgers, but we also believe in giving back. 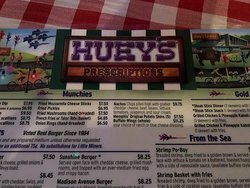 Huey’s supports a variety of different community organizations, schools, and local charities. My wife and I visited Memphis last week and stumbled across this little gem downtown. We had Philly Cheese steaks four nights out of five for dinner. Sat at the bar and met some great people. The sandwiches rival Philadelphia. The are delicious. 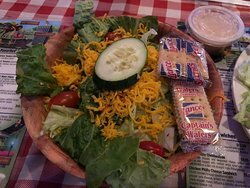 We love the stuffed mushrooms here...A basket of huge mushrooms breaded and deep fried with mozzarella cheese grated on top along with ranch dressing...and that is just the appetizer. 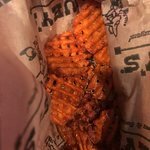 Great burgers and fries here also...Within walking distance of Beale Street. We came here for a quick bite to eat. We were seated quickly. The waiter was ok. 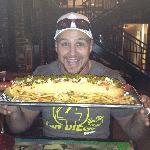 I ordered the Philly cheesesteak which was kind of salty. Other than that it was ok. Stopped by for a quick lunch. 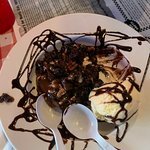 Good food and good service! 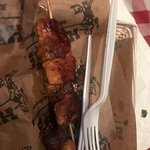 The portion size was hearty and the overall price was good. 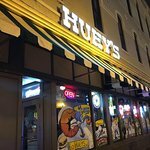 We called into Hueys for a few drinks to round off our last night in Memphis & it's a nice place with reasonably priced drinks with fun bar staff. 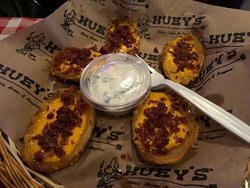 Get quick answers from Huey's Downtown staff and past visitors.